The family run in, with their behinds on fire and douse themselves on the waterlogged couch. Krusty is persuaded by Bart to appear at a comedy festival organized by Jay Leno. His old-fashioned and outdated material fails to impress the audience when compared with the more trendy comedians also appearing. After reading a critical review of his act in the press, Krusty decides to go on a "bender to end all benders" and a montage sequence shows him getting drunk. After Bart finds him passed out on Ned Flanders' lawn, he enlists the help of Leno to clean him up. Krusty holds a press conference to announce his retirement and in short order launches into a bitter tirade against modern-day comedians. The audience finds Krusty's rant hysterically funny and he subsequently announces his return to comedy. 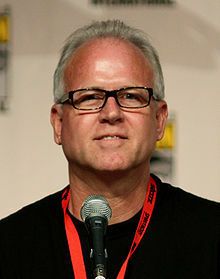 Mike B. Anderson directed the episode. In the DVD commentary for The Simpsons' ninth season, writer Donick Cary stated that the inspiration for the idea of an episode about stand-up comedy came out of comedy festivals at the time. Executive producer Mike Scully said that the writers had difficulty getting Krusty's offensive bad jokes through the network censors. The stereotypical jokes were allowed because the writers convinced the network censors that viewers would understand it was simply emphasizing Krusty's dated comedic material. Mike B. Anderson stated that at least three different acts of material were written and animated for Krusty's comeback stand-up appearance at Moe's Tavern. It was not until the editing process that the material used was decided upon. The episode was still being animated three weeks before it was due to air and the production process moved frantically shortly before completion. The Canyonero sequence was originally planned to be displayed during the closing credits. The production team liked the scene so much that they did not want it to be obscured by the credits and gave it its own segment at the end of the episode. In addition to Jay Leno, other real-life comedians that portrayed themselves in the episode include Steven Wright, Janeane Garofalo, Bobcat Goldthwait, and Bruce Baum, whose appearance helped increase his popularity. Krusty's "Krustylu Studios" is a spoof on the company Desilu studios, set up by Lucille Ball and her husband Desi Arnaz, where the series Star Trek was once filmed. During Krusty's "bender to end all benders" montage, he is seen drinking out of and vomiting into the Stanley Cup. The National Hockey League sent a letter regarding this scene. Mike Scully described it as a "kind of a cease and desist", but the production staff decided not to cut the scene from the episode. Krusty attends the coffee shop Java the Hut, a reference to the Star Wars character Jabba the Hutt. Additionally, Krusty's anti-commercialism and anti-corporate stances, along with styling his hair in a ponytail, is a reference to comedian George Carlin who styled his hair the same way later in his career and often had anti-capitalism, anti-consumerism and anti-commercialism overtones in his performance. The "Canyonero" song and visual sequence was modeled after Ford commercials. The sequence is a parody of a commercial for a sport utility vehicle and Hank Williams Jr. sings a song about the Canyonero accompanied by country guitar music and whip cracks. The song "Canyonero" closely resembles the theme to the 1960s television series Rawhide. This episode was the first appearance of the Canyonero, which again appeared in the season 10 episode "Marge Simpson in: "Screaming Yellow Honkers"". The "Canyonero" song is included on the 1999 soundtrack album Go Simpsonic with The Simpsons. Chris Turner wrote positively of the Canyonero spoof piece in Planet Simpson: How a Cartoon Masterpiece Defined a Generation, calling it "a brilliant parody of an SUV ad". In an article in the journal Environmental Politics Steve Vanderheiden commented that the Canyonero reflected an "anti-SUV" stance by The Simpsons. Vanderheiden wrote: "Even the popular animated television series ‘The Simpsons’ joined the anti-SUV fray in 1998, featuring a mammoth vehicle called the ‘Canyonero’ (marketed with the jingle: ‘Twelve yards long, two lanes wide/Sixty-five tons of American pride!’), which promised to help the family transcend its mundane station-wagon existence but instead brought only misery." The term "Canyonero" has since been used in the news media to refer critically to large trucks and SUVs. In an article in the San Francisco Chronicle about SUV owners, Vicki Haddock wrote "SUV owners have become something of a punch line, succinctly captured in a "Simpsons" parody touting the apocryphal Canyonero". In a 2006 article, Seth Jayson of The Motley Fool compared the wording in a Ford advertisement myFord Owner Magazine to this episode, writing: "the unholiest of unholies is the writing, which is so thick with absurd adspeak, you'd think it was written by the crew at The Onion or The Simpsons – especially that episode where Krusty starts shilling for the Canyonero." In a 2004 article in the Chicago Tribune, Jim Mateja noted that people have pointed out a similarity between the GMC Canyon and the Canyonero. When contacted, GMC responded that the GMC is a pickup truck, while the Canyonero is a parody of an SUV. Joshua Dowling of The Sun-Herald described the philosophy of the Ford F-250 as "The Canyonero comes to life". 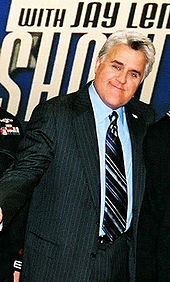 Jay Leno said in the DVD commentary for "The Last Temptation of Krust" that he could not tell whether the writers were poking fun at him or complimenting him. In its original broadcast, "The Last Temptation of Krust" finished 21st in ratings for the week of February 16–23, 1998, with a Nielsen rating of 9.7, equivalent to approximately 9.5 million viewing households. It was the fourth highest-rated show on the Fox network that week, following The X-Files, The World's Scariest Police Chases, and King of the Hill. In 2006, USA Today highlighted the episode in a review of The Simpsons ninth season. In his review of the season nine DVD, Joseph Szadkowski of The Washington Times noted: "Among the 22-minute gems found in the set, I most enjoyed ... [Krusty's] work with Jay Leno." Mark Evans of the Evening Herald wrote: "'The Last Temptation of Krust' is a winner for its title alone as Krusty the clown becomes a satiric 'alternative' comedian but then sells out by advertising the Canyonero SUV road hazard." Alan Sepinwall wrote positively of the episode in The Star-Ledger, citing the Canyonero sequence as "the real reason to watch" the episode and that "It's an oversize vehicle that will create oversized laughs." Some sources mistakenly refer to this episode as "The Last Temptation of Krusty". In the book I Can't Believe It's a Bigger and Better Updated Unofficial Simpsons Guide, Warren Martyn and Adrian Wood characterized the episode as "a good twist on the never-ending Krusty story" and suggested that while "Jay Leno turns in a nice cameo [...] the show is stolen by the advert for the Canyonero". The authors also praised Krusty's "ponytail and black sweater" look. In the DVD audio commentary for "The Last Temptation of Krust", Leno said that he believed the essence of comedy clubs was depicted very well in the episode and referred to Krusty's remodeled appearance as "[George] Carlin post-Vegas act". He also appreciated Krusty's poke at Leno's use of news headlines on The Tonight Show with Jay Leno and said that he could not figure out whether parts of the episode were making fun of him or complimenting him. William Irwin's The Simpsons and Philosophy: The D'oh! of Homer references a scene from the episode as an example of Marge's passive resistance, her moral influence on Lisa, and her value as a role model for her children. ^ a b c d e Martyn, Warren; Wood, Adrian (2000). "Season Nine – The Last Temptation of Krust". The Simpsons – Episode Guide. BBC. Archived from the original on December 23, 2003. Retrieved November 30, 2007. ^ "Another Simpsons season hits DVD". Orlando Sentinel. December 22, 2006. ^ Cary, Donick (2006). The Simpsons season 9 DVD commentary for the episode "The Last Temptation of Krust" (DVD). 20th Century Fox. ^ a b c d e Scully, Mike (2006). The Simpsons season 9 DVD commentary for the episode "The Last Temptation of Krust" (DVD). 20th Century Fox. ^ Anderson, Mike B. (2006). The Simpsons season 9 DVD commentary for the episode "The Last Temptation of Krust" (DVD). 20th Century Fox. ^ a b Sepinwall, Alan (August 20, 1998). "Primescan". The Star-Ledger. p. 68. ^ a b "The Last Temptation of Krusty". KASA-TV. February 22, 1998. ^ Freedman, Richard (February 5, 2004). "Baum lands at Pepper Belly's Comic's wild act, if not face, unique". Times-Herald. ^ Chernoff, Scott (July 24, 2007). "I Bent My Wookiee! Celebrating the Star Wars/Simpsons Connection". StarWars.com. Archived from the original on October 6, 2008. Retrieved August 28, 2011. ^ a b c Turner 2005, p. 254. ^ Sepinwall, Alan (November 12, 1999). "ALL TV'Tooning in to animation CDs". The Star-Ledger. p. 39. ^ a b Vanderheiden, Steve (February 2006). "Assessing the case against the SUV". Environmental Politics. 15 (1): 23–40. doi:10.1080/09644010500418688. ^ Lennox, Graeme; Steele, Liz (June 22, 2003). "Drive a Survivor: Mums looking for safety first should check out Touareg". The Sunday Mail. p. 2. ^ McKeever, Jim (September 19, 2005). "Traffic Laws Don't Apply In Lots". The Post-Standard. p. B3. ^ Clark, Michael (May 26, 2006). "Right on Q. (Autos – Reviews)". Winnipeg Free Press. p. E1. ^ Staff (March 27, 2006). "Muzzle the guzzlers". St Louis Post-Dispatch. p. B8. ^ Deen, Munim (November 20, 2007). "Column: Hybrids overvalued". Oklahoma Daily. ^ Haddock, Vicki (March 12, 2006). "SUV owners have a champion on the Web; Road to acceptance for vilified vehicle owners is long, bumpy and winding". San Francisco Chronicle. p. E1. ^ Jayson, Seth (May 5, 2006). "'myFord' Makes Me Cringe". Motley Fool. Archived from the original on December 9, 2007. Retrieved May 27, 2017. ^ a b Mateja, Jim (April 4, 2004). "Dealers let costs out of the bag". Chicago Tribune. p. 7. ^ Dowling, Joshua (September 30, 2001). "New Car Snapshot Ford F-250". The Sun-Herald. John Fairfax Publications. p. 3. ^ Clark, Mike (December 22, 2006). "New on DVD". USA Today. Gannett Co. Archived from the original on October 17, 2012. Retrieved October 24, 2007. ^ Szadkowski, Joseph (January 13, 2007). "Animated ninja figures learn all about warrior art". The Washington Times. p. C09. ^ Evans, Mark (January 27, 2007). "Simpsons Season 9". Evening Herald. Independent News & Media. p. 25. ^ "The Simpsons – The Last Temptation of Krusty". Yahoo! TV. Yahoo!. Archived from the original on May 17, 2011. Retrieved February 20, 2008. ^ a b Irwin, William; Conard, Mark T.; Skoble, Aeon J. (2001). The Simpsons and Philosophy: The D'oh! of Homer. Open Court Publishing. pp. 49, 53–54. ISBN 0-8126-9433-3. ^ "The Simpsons – 'The Last Temptation of Krusty' Episode Info". MSN TV. MSN. Archived from the original on June 7, 2008. Retrieved February 20, 2008. ^ a b Leno, Jay (2006). The Simpsons season 9 DVD commentary for the episode "The Last Temptation of Krust" (DVD). 20th Century Fox. Wikiquote has quotations related to: "The Last Temptation of Krust"
"The Last Temptation of Krust episode capsule". The Simpsons Archive. This page was last edited on 16 April 2019, at 13:53 (UTC).